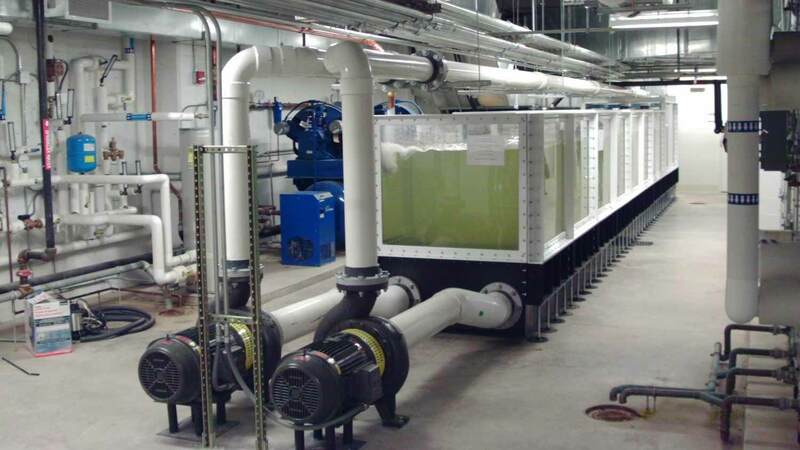 The Flume lab houses a 12-m long Plexiglas flume with a cross section of 1.2-m wide and 3.5 ft high and two 1600 GPM pumps are used to re-circulate the water into the system. It is equipped with Vectrino II, which is a profiling velocimeter attached to the flume that can measure 3D velocity at rates of up to 100 Hz. The Vectrino II provides high resolution observations of boundary layer dynamics and turbulence in the lab and field. With the ability to profile three component velocities (U, V, W) over a vertical range of 3cm, with a resolution of 1mm, and sampling rate of 100 Hz, the Vectrino II allows new insight for a wide range of scientific studies. The flume can be used to study the local scour around hydraulic structures, turbulent structures in an open channel flow, slope protection, effect of ice cover and roughness on pollutant resuspension and bed stability.